The 13th annual event, “A Meal to Remember” presented by Motley Rice, raised nearly $160,000 for East Cooper Meals on Wheels, which will provide more than 53,000 meals for homebound neighbors east of the Cooper. Guests gathered at Wild Dunes Resort on March 29 for this black-tie optional affair to enjoy signature small plates from local chefs and restaurants while bidding on items in both live and silent auctions. Participating restaurants included Burtons Grill & Bar – Mt. 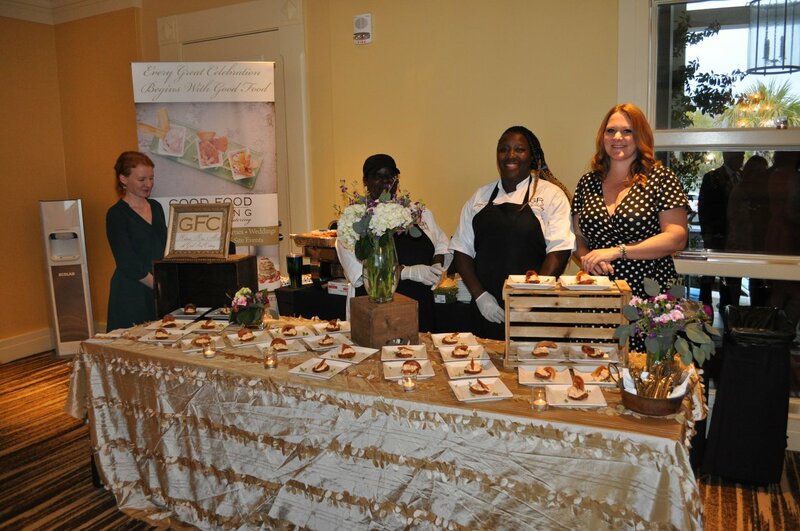 Pleasant, Wild Dunes Resort, Saffron Bakery, On Forty-One, Wando Culinary Team, The Granary, Good Food Catering, Obstinate Daughter, Acme Lowcountry Kitchen and Graze. East Cooper Meals on Wheels delivers daily nutrition Mount Pleasant, Daniel Island, Isle of Palms, Sullivan’s Island, Cainhoy and Wando residents, who are homebound or unable to provide their own meals, regardless of age or income. The organization operates without a waiting list, and there is never a charge for meals.